We're almost at the finish line! 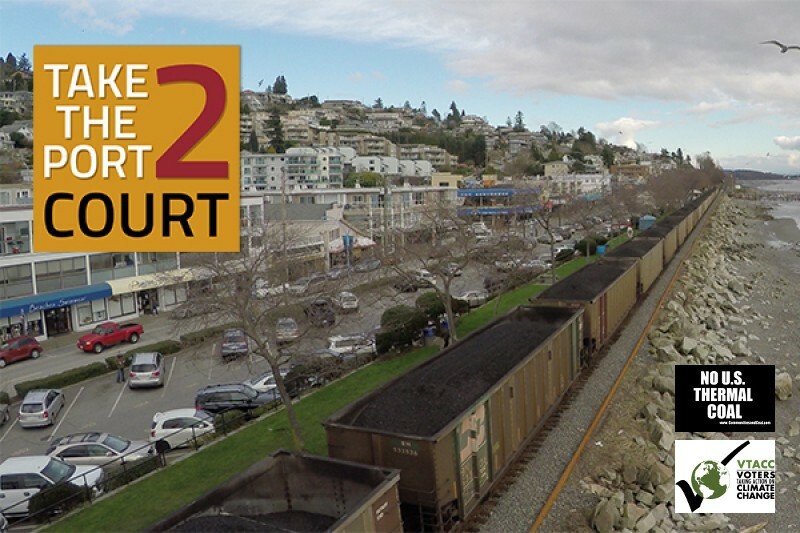 Communities and Coal & VTACC go to court on May 17 to protect our communities from thermal coal exports. We first learned in 2012 that desperate US coal companies want to run mile long trains through our communities so they could export the world’s dirtiest fossil fuel. We decided immediately to challenge this proposal in every way possible. Four and a half years later we're still in the fight - and we need your help. We need to raise a final $7000 to cover legal expenses and Go Fund Me fees -- can you donate here today to help us reach our goal?" If you would like to donate but prefer to mail a cheque instead of donating online, please go here ." Directly affected, but not properly consulted: young people living near the proposed Fraser River coal port talk about the potential impacts. A new coal port on the Fraser River: what's at stake? A new coal port on the Fraser River means more late night noise as our kids try to sleep. It means more pollution from diesel exhaust and coal dust, and longer waits as US coal trains rumble through our neighbourhoods. It means more harm to our climate when that coal is burned. This project delivers minimal benefit to our communities and we were never properly consulted about its impacts. 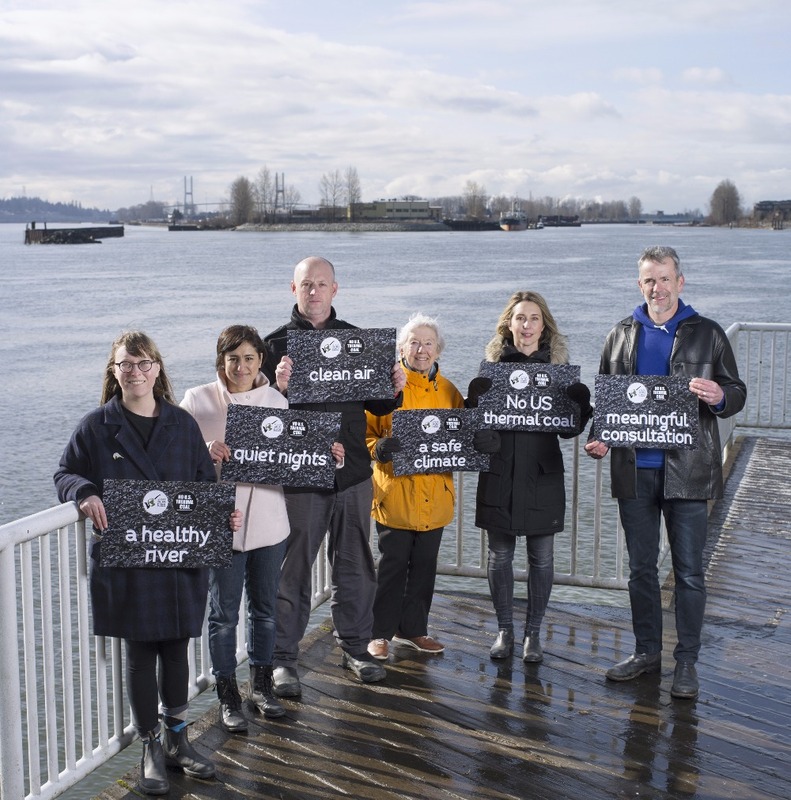 We're challenging plans for a new coal port on the Fraser because decisions that impact our future shouldn't be made without meaningful public input. The Cities of New Westminster and Surrey share our concerns -- that's why they have joined our challenge as intervenors and will be with us in court on May 17. Why do we need your help to go to court? On May 17 2017 we're taking the Port to court to defend our communities and demand they improve their decision making process. Our case has been three years in the making, and this has already been hard fought litigation. The Port Authority initially claimed it was immune to our challenge. Once they abandoned that argument, the Port fought long and hard to prevent us from obtaining key documents used in its decision. They eventually gave up on that argument too, but then issued Fraser Surrey Docks a permit amendment and said our challenge of the original permit was no longer valid. 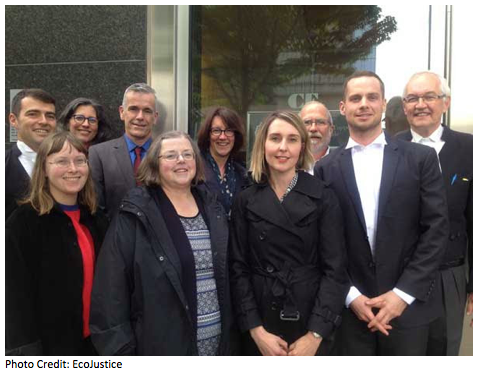 There were more challenges, and while the Port may have thought it would eventually wear us down, thanks to our amazing lawyers at Ecojustice we're still here and eager for our day in court. Taking powerful agents like the Port to Court is expensive work -- but necessary if we're to ensure they’re held accountable to the people they're meant to serve. Can you help us reach our goal by making a donation today? This fight has come to be about more than just stopping a coal port – it’s about being meaningfully consulted on decisions that impact our future. Port Authorities are both public regulator and landlord, and should balance those roles in the best interests of all Canadians. However, when we found out the Port was reporting on our work to the coal lobby and hiding its sponsorship of coal industry events , it made us question who’s interests they were looking after. Later, we learned that executive compensation at the Port includes bonuses tied to Port performance – meaning there appears to be a financial incentive for decision makers to approve the projects the Port is charged with permitting. As we pulled all these pieces together, we became increasingly worried decision making at the Port was biased. We're taking the Port to court because it failed to meaningfully consult with local governments and the public on this project. We think its mind was made up and approval was a done-deal long before it issued the permit for this new coal port. Also, the Port is intent on industrializing the Fraser River and farmland . If we want a say in how our region develops in the future, we need to change how the Port makes decisions. 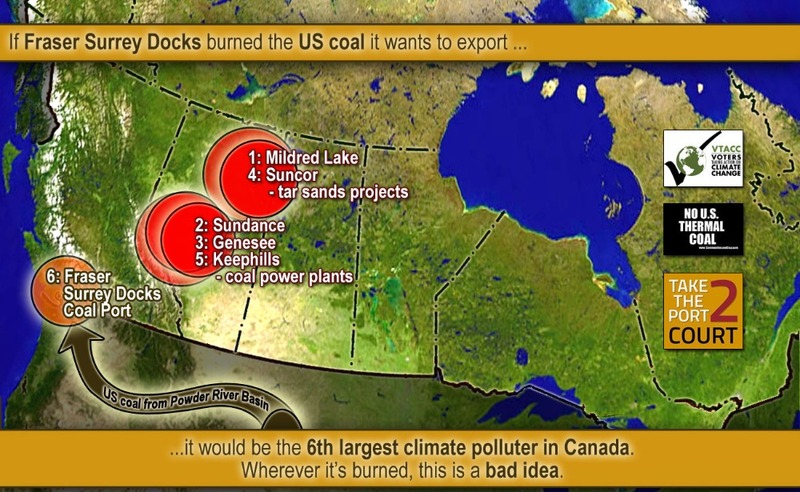 Further, if Fraser Surrey Docks were to burn the US thermal coal it plans to export, it would be the 6th largest climate polluter in Canada. Bad idea! We are two groups deeply concerned about the impact this coal port proposal will have on our communities and our climate. We've been involved in the fight to stop this coal port from the beginning. Voters Taking Action on Climate Change (VTACC) is a non-profit society that creates opportunities for the public to demand action from governments on climate change. VTACC works to end the export of US thermal coal from BC to protect communities and our climate. 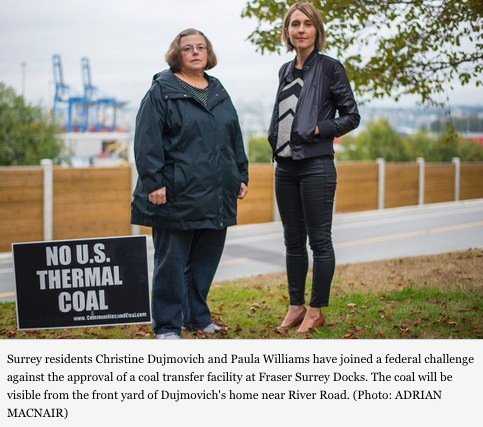 On September 19, 2014 the environmental law charity Ecojustice filed a federal court application for judicial review of the Port's decision to permit a new coal port on the Fraser River on behalf of Voters Taking Action on Climate Change, Communities and Coal and two individual applicants - Paula Williams and Christine Dujmovich. We allege that the Port’s conduct gave rise to a reasonable apprehension of bias. We also allege that the chief executive officer of the Port lacked the authority to make the decisions to approve the project. 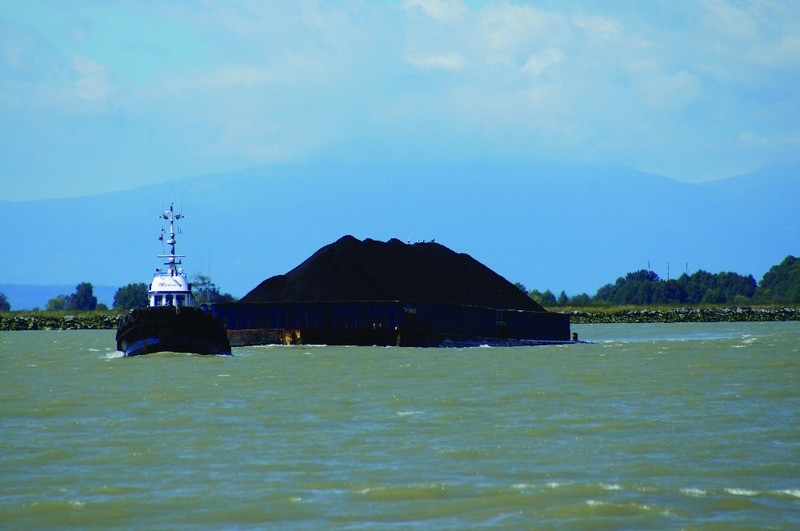 On August 21, 2014 the Vancouver Fraser Port Authority (the Port) approved a controversial proposal for a coal terminal on the Fraser River which would export up to 4 million metric tonnes of US thermal coal annually. This coal would come from the Powder River Basin in Montana and is sold to foreign countries to be burned and used as fuel. It would travel via rail from Montana into Canada through the Peace Arch Crossing in Semihamoo, and then make its way through White Rock, Delta and Surrey to Fraser Surrey Docks (FSD), right next to a residential neighbourhood. 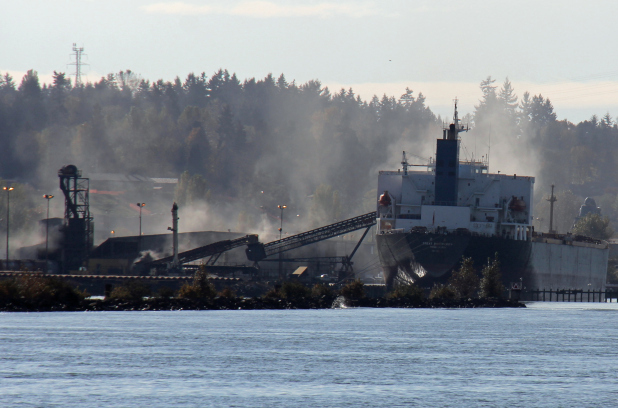 From Fraser Surrey Docks, the coal would either be loaded into open barges (each the length of a football field) then towed up the windy Strait of Georgia to Texada Island for transshipment, or loaded directly onto ocean going freighters for shipment to Asian power plants. In North America demand for thermal coal has collapsed due to concerns about climate change and pollution and the low cost of natural gas. Many coal ports have been proposed along the West Coast of the US to provide easy access to Asian markets for stranded US coal. However, due to intense opposition and careful review processes involving extensive consultation to date none of these US coal ports have been approved. As a result, US coal companies have been turning to BC, specifically Metro Vancouver, in search of export routes for their coal. 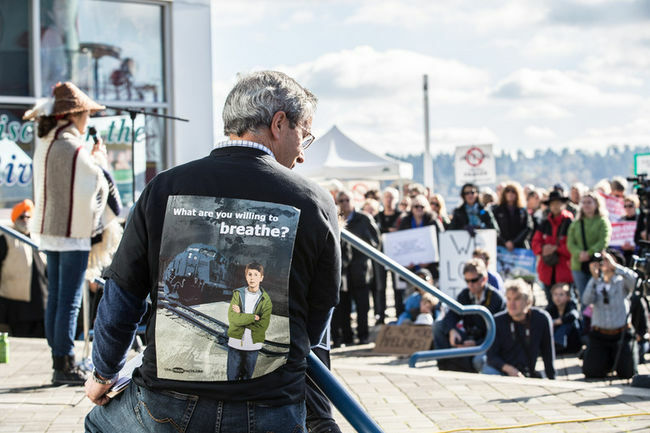 The proposal to export US thermal coal from FSD led to an overwhelming outcry from health authorities, scholars, unions, scientists, municipalities, politicians, environmentalists and everyday people living along the proposed coal route who are concerned about health, air quality and climate impacts . 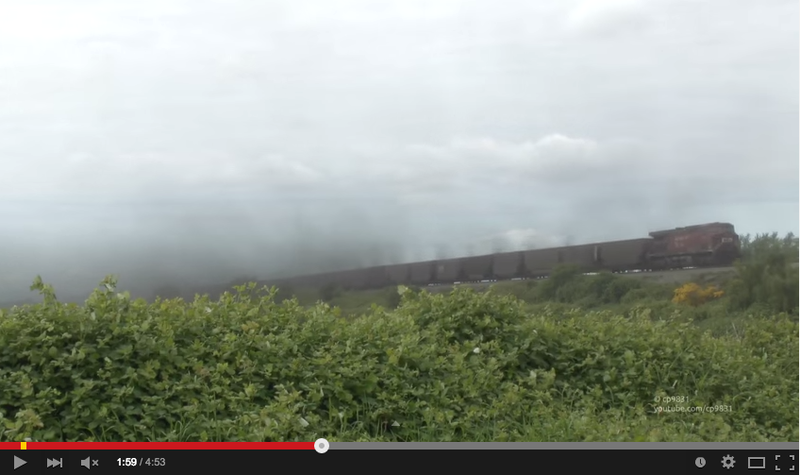 May 2013 -- Coal dust being blown onto farmland from train, Delta BC. Source: CP9831 YouTube. Nine municipalities in our region have either opposed the project outright or at minimum called for an independent, comprehensive Health Impact Assessment (HIA) and full public hearings on the project. Our Health Authorities joined the call for an HIA. Even the Union of BC Municipalities joined the call. In response, the Port required FSD to conduct an Environmental Assessment. However, the assessment process and report were both roundly criticized by our health authorities and other experts who called it "deeply flawed" and said it paid insufficient attention to potential impacts on human populations. Months later, the Port announced it would require FSD to conduct a "Human Health Risk Assessment" (HHRA) to fill in the missing gaps. However, the Port would not allow any further public comment, including any input from our health authorities. On August 21, 2014, the very day the Port made the HHRA public, they also approved the coal export project at FSD. Our local governments and health authorities have held no power over the Port and were never meaningfully consulted on the project. The Port has repeatedly rejected calls for public hearings on the project. Why Is A Health Impact Assessment Still Important? An HIA is important because there is evidence to suggest that the shipment of coal can result in negative impacts to both the human population and its environment. A HIA if done correctly using international standards, would be thorough, comprehensive, transparent, and use the best available evidence to properly assess the risks of this project. Our Skytrain platform posters -- up now in Surrey and New Westminster. Thanks to LUSH for their support in helping us to say thanks to these two cities for intervening! We'd like to thank you for your support over the years and to also give you an update on our legal case. As you know, we lost our initial court challenge but we have since decided to file a federal appeal, with the help of our EcoJustice team. Sadly, VTACC will not be joining us, however, they support us in our efforts to make sure that the coal export project never breaks ground. The funds raised to date will pay for our initial court loss, with some left over to allow us to go forward with this appeal. Thank you again for your support over the years as this would not have been possible without your help and encouragement. 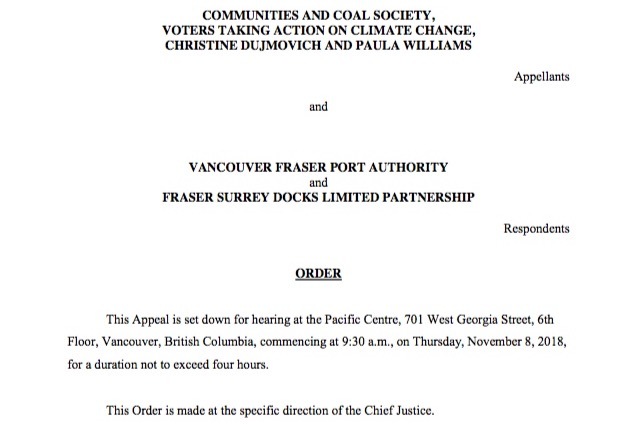 We recently heard from federal court on our challenge to the Vancouver Fraser Port Authority’s permitting of the proposed US thermal coal port at Fraser Surrey Docks. The court has rejected our challenge. We are disappointed in the decision. We’re exploring our options, including the possibility of appeal, with our lawyers at Ecojustice. The court has also awarded costs against us, the amount not yet determined. Along with our brave co-applicant Christine Dujmovich, we are proud to have taken our challenge all the way to federal court. We thank Ecojustice for their tireless work on this case over the past several years. 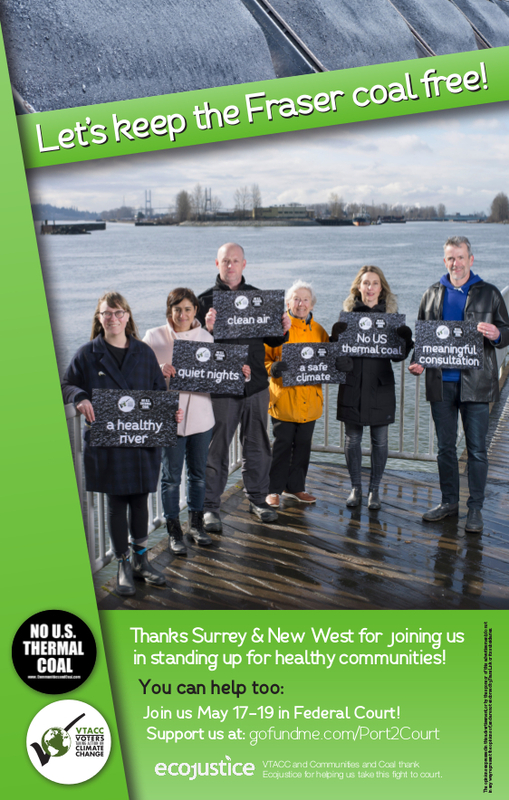 We're also grateful to have the strong support of New Westminster and Surrey, which intervened in our case and share our concerns about the impacts this coal port would have on our communities, local environment and climate. Most of all, we are deeply moved by the support -- financial and moral -- that we have received from so many of you. Without that support, we could not have taken this challenge so far. In recent years we have raised serious concerns about the permitting of this coal export project and about port authority decision making more generally. The outcome of the case has not changed our views on these issues. In fact, we’re more convinced than ever of the need for legislative reform to hold decision makers like port authorities to account. We think Ottawa needs to reexamine the combined roles our ports play as environmental decision makers and landlords of our public port lands. Ottawa must change the Canada Marine Act to address this conflict if we are to have confidence that our ports are making decisions in the best interests of all Canadians. We also think Ottawa must bring about reforms to port authority governance to better balance Canada's trade agenda and the interests of port users and local communities. 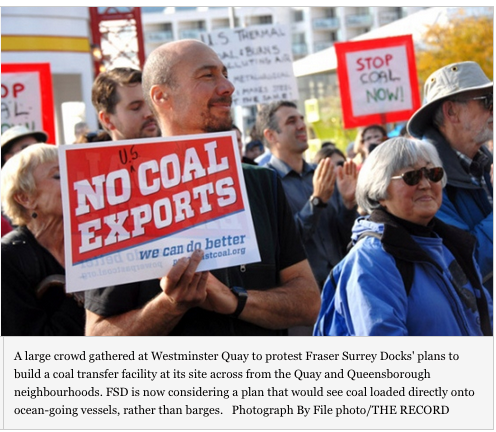 First, Fraser Surrey Docks has not yet initiated construction of a coal port on the Fraser River, despite originally planning to get started in 2013. 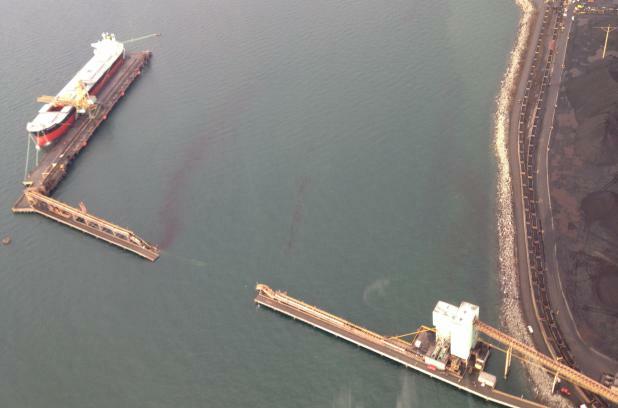 Second, the Vancouver Fraser Port Authority has begun to repair its project review and environmental assessment processes. Finally, in 2015 Alberta announced that coal power would be phased out by 2030 (Alberta utilities are on track to meet that goal by 2023), and in November 2017 Canada's Environment Minister proposed a global phase out of coal power as part of international climate talks. In short, our efforts have started the process of change locally, and across the country public and political opposition to the use and export of thermal coal continues to grow. Thank you again for your support over the past several years as we brought this challenge forward. Together, we’re pushing back against coal and its harmful climate impacts. Thanks to everyone who joined us in court last Wednesday to Friday. It was great to be able to publicly show the level of community support for this legal challenge. Our lawyers laid out their arguments Wednesday and Thursday, and were followed by the lawyers for Surrey and New West who offered strong submissions in support. We offer a huge thank you to Ecojustice for taking this on, and to Surrey and New West for joining this challenge. The lawyers for the Port and Fraser Surrey Docks offered their arguments in reply, and by Friday afternoon we were done. The justice has reserved his decision until after he has had a chance to review all of the written materials submitted in the case. This could take four to six months. We'll let you know the outcome as soon as we learn of it. Thank you all for your incredible support! We've come within $800 of our target of $36,000, with more than 400 contributions over the past two years. Your generous donations have made this legal challenge possible. While we wait for the court's decision, keep in mind that after 4 years, there is still no coal port o the Fraser River. Together, our efforts in challenging this projected have already been a success. As the world grapples with climate change and shifts to renewable energy, there is a very good chance that Fraser Surrey Docks will eventually accept that abandoning this project for good is the right thing to do. Ps -- I've attached here a photo from the final day outside court. You can tell our legal team by their fancy clothes. 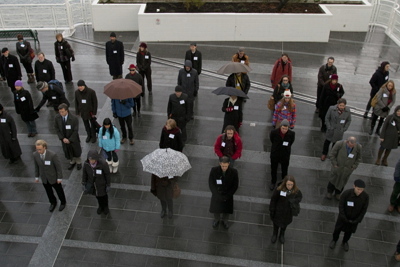 Karen Campbell, our other lawyer from Ecojustice, is in the centre in the back row. Three PPPs Peaceful People Power and justice for all. Hi Kevin, Thanks for your good work. I had a garage sale in Crescent Beach and am donating the proceeds. Perhaps a thought for others. What will you do with the money raised if it is not needed regardless of how the court decides?